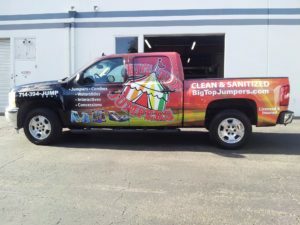 Are you searching for van or truck wraps in Tustin, CA? At Black Parrot Sign Studios, we specialize in custom vehicle wraps for trucks, vans, cars, boats, and just about any other type of vehicle. 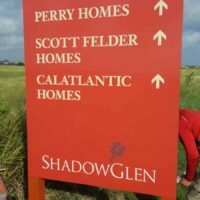 We also specialize in just about any other kind of sign that you might want for your business. We are a full-service custom sign and graphic design company located in Tustin, California, and we serve the entire Orange County area. Do you have delivery vehicles or installation vans? Do you have a fleet of vehicles that you would like to wrap with custom graphics? We can design graphics for your fleet to include your logo, contact information and any other graphics you might want. Typical companies that have these types of vehicles include plumbers, cable companies, delivery companies, florists, electricians, and more. 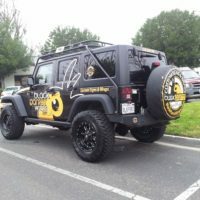 If you have a business that has company vehicles, and you don’t have a custom vehicle wrap or graphics installed, you could be missing out on a huge opportunity to advertise your business. Especially companies like those mentioned above, that go out on delivery or visit a job site, have a great opportunity to generate new customers. One reason that this type of advertising (Vehicle graphics )works is because of trust. If someone hires you for your services and a neighbor sees your work vehicle parked out front, they might hire you. People tend to trust companies that their neighbors hire, so being seen in the neighborhood with your contact information on your vehicle is a great way to generate high quality leads. Do you have any more questions about vehicle wraps? Just give us a call! At Black Parrot Sign Studios we custom design signs and graphics to fit your business needs. We are located in Tustin, CA and serve the entire Orange County Area. Give us a call for an estimate on applying a vehicle graphic to your personal or company vehicle.